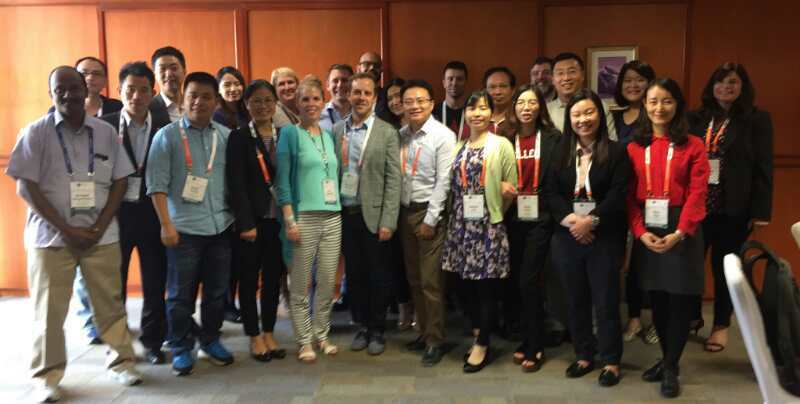 The RrSG and ICANN Engagement team co-hosted an outreach lunch for APAC Registrars at ICANN 57. The lunch was well attended and provided an excellent opportunity for APAC Registrars to get to know key RrSG members and ICANN staff and voice their particular opinions and concerns. We look forward to working together further in the future. Two of the RrSG’s GNSO Council Representatives resigned earlier this month pursuant to Charter rules. As a result, a call for nominations has been issued to fill the remaining terms of Volker Greimann and Jennifer Gore’s positions. Nominations will be accepted until 23:59 UTC on Thursday, 21 July 2016. The Charter requires that individuals nominated for GNSO Council representative must be from a region other than North America, which is already represented by Council Chair, James Bladel. As a reminder, any Member’s Registered Representative may nominate another for an elected position. The nomination must be seconded by another Member. The nominee must accept the nomination and provide the required conflict of interest statement. The list of nominees will be published following the close of the nomination period. The election closed last night at 2359 UTC. Thanks to everyone who ran for election and to all members who voted. The Chair, Vice Chair, Secretary, and Treasurer will assume their positions as of 1 July 2016. The GNSO Council and the Nominating Committee representatives will assume their positions when seated at ICANN’s annual general meeting in November in Hyderabad, India. Thanks to Paul Goldstone for his service to the RrSG as Treasurer over the last year. As previously announced the nomination period for the elections closed last night at 2359 UTC. As per the Charter there is now a discussion period of one week on the members’ mailing list. The Registrar Stakeholder Group (RrSG) (http://icannregistrars.org/) is one of several stakeholder groups within the ICANN community and is the representative body of domain name registrars. It is a diverse and active group that works to ensure the interests of registrars and their customers are effectively advanced. The RrSG’s Executive Committee is elected on an annual basis by the members and consists of a Chair, Vice Chair, Secretary, and Treasurer. They work closely with the GNSO Councilors selected by the RrSG members. The RrSG is seeking a contractor to perform administrative duties and provide operational support for the Executive Committee and RrSG members. Administrative duties will vary based on need and areas of focus throughout the year. The RFP response should be delivered via email to the RrSG Secretary, Darcy Southwell, at darcy.southwell@endurance.com by 24 June 2016 at 23:59 UTC. The term of the contract will run from 1 July to 30 June each year to coincide with the RrSG’s stated fiscal year. If a candidate is selected on or after 1 July 2016, the contract term will run from the date of contract execution through 30 June 2017. Payment will be made on a monthly basis for the prior month’s work. Please submit the following no later than 24 June 2016 at 23:59 UTC to RrSG Secretary, Darcy Southwell, at darcy.southwell@endurance.com. A summary of your recent and relevant projects along with a detailed description of your skills and how they would apply to the scope of work described above. Names, phone numbers, and email addresses for professional references that you have interacted or worked with within the past eighteen months. We intend to hold interviews (via phone or Skype) with final candidates during the week of 4 or 11 July 2016. If you have questions, please email them to RrSG Secretary, Darcy Southwell, at darcy.southwell@endurance.com.